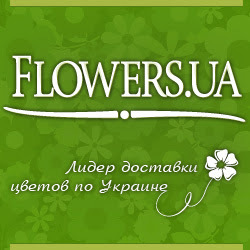 We welcome you in our store Flowers.ua! 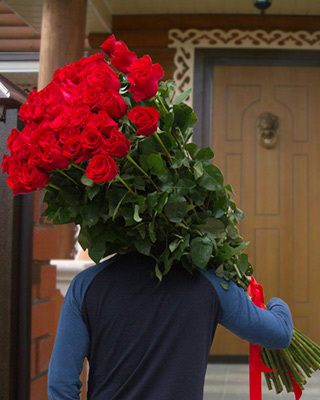 Flowers.ua – a national delivery service of flowers and gifts in Ukraine and the world. We are engaged in the delivery of flowers and gifts for more than 10 years and have great experience in the organization of congratulations at the highest level! We also understand that our job is not just send flowers but primarily delivery of good mood, sending your emotions to dear people at a distance! Why it’s convenient to work with us? We make the deliveries all over Ukraine and the world! There is no point on the map where we could not deliver your gift! Without leaving your home, you can choose a gift and pay for it in some seconds (We have a wide choice of payment methods, so you can choose the most suitable for you.) And just in a few hours we will make delivery of the order and positive emotions to your recipient. For owners of tablets and smartphones, we have created a mobile version of the site. Now, our customers, who are always in a move have the opportunity to order flowers anytime and anywhere! It’s so easy and convenient. We offer a wide range of local and imported flowers. We are ready to amaze you and your recipients with bouquets of the most diverse varieties of roses and chrysanthemums, tulips and irises, peonies and lilacs, hydrangeas and orchids and many other flowers. Our catalog contains a wide range of bouquets, baskets of flowers and compositions of flowers to suit all tastes! We are constantly adding new items, so that you can please dear people with beautiful modern bouquets every day! We are ready to create a unique bouquet on the individual order! Our florists will realize any idea of yours. There are a wide range of gifts in our store which would be an effectively addition to your congratulations! Why it’s profitable to work with us? We offer the best prices for flowers! We hold the low cost of a high quality shipping. We offer flowers and gifts for every budget – so you'll always find a worthy gift at a reasonable price! Our clients get the best gifts in our promotions! Why it’s quickly and qualitatively to work with us? Our courier services and logistics department ensures that your greetings will be delivered strictly at the specified time. Team of creative florists is ready to surprise you and your loved ones with unique floral masterpieces. Experienced and qualified managers support customers 24/7. We are ready to advise and help to implement the most courageous and unexpected congratulations! We provide personal support to each customer. In spite of the vast geography of deliveries, the flower for your order are purchased exclusively at the delivery day. Flowers are stored in specially equipped cold stores before the delivery. 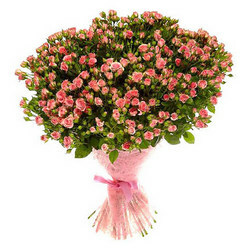 It’s a guarantee of maximum freshness and quality of delivered flowers. We never stop on achieved! Constantly work to improve our service! We update the range of bouquets and compositions. We expand our partnership network. A bouquet of flowers is a wonderful gift for a celebration! But in order to please a loved one person it does not necessarily to look for a reason. Give happiness and positive emotions just today! And we are always glad to help you make someone happy!